Hang 10 and test your board balance skills out on our Surf and Snowboard Simulator Ride. Our board simulator ride is great fun for all ages and is available to hire with a choice of Surfboard or Snowboard attachements. The ride is supplied with one of our trained operators who will run it on your behalf - this is compulsory for safety reasons. 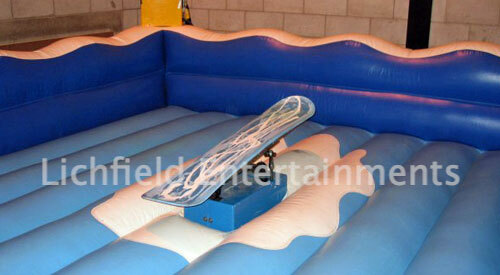 This Surf Simulator Ride requires a level area of 18x17ft and a height clearance of 9ft 6in for indoor hires. 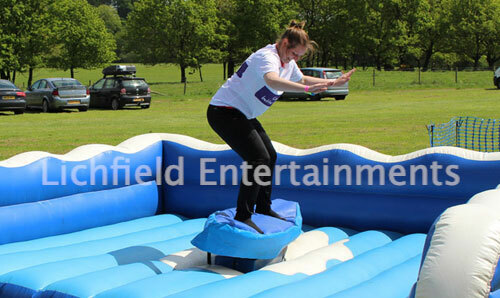 If you're hiring the Surf Simulator for outdoor events we provide an inflatable shelter so you can still use the machine even if the weather turns wet. If using the shelter you'll require an increased area of 23x23ft. The Surf Simulator runs off a single 240volt mains supply but we can supply a suitable generator at an additional cost if theres no mains electric available. 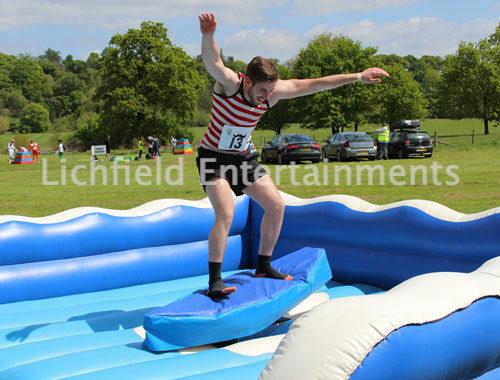 If you have any queries, questions or would like to make a booking for the Surf Simulator Ride please click here to enquire and we will do all we can to help. If you're holding a Beach Theme Event take a look at our Inflatable Beach Volleyball Court, our Electronic Boat Racing Game, and our Frisbee Golf.